Introducing Kindsoul SVG Script font duo! An adorable pairing of a transparent hand painted watercolor SVG Script font and a classy smooth Serif font. This is an SVG font (Which needs Adobe Photoshop CC 2017 or Adobe Illustrator CC 2018 or newer), plus a beautiful serif font to pair with it. Also included is Brush and Solid versions of the font, and these can be used in any program that uses normal system fonts. File format: .otf, .ttf, .svg, .psd, .woff for Photoshop or other software. 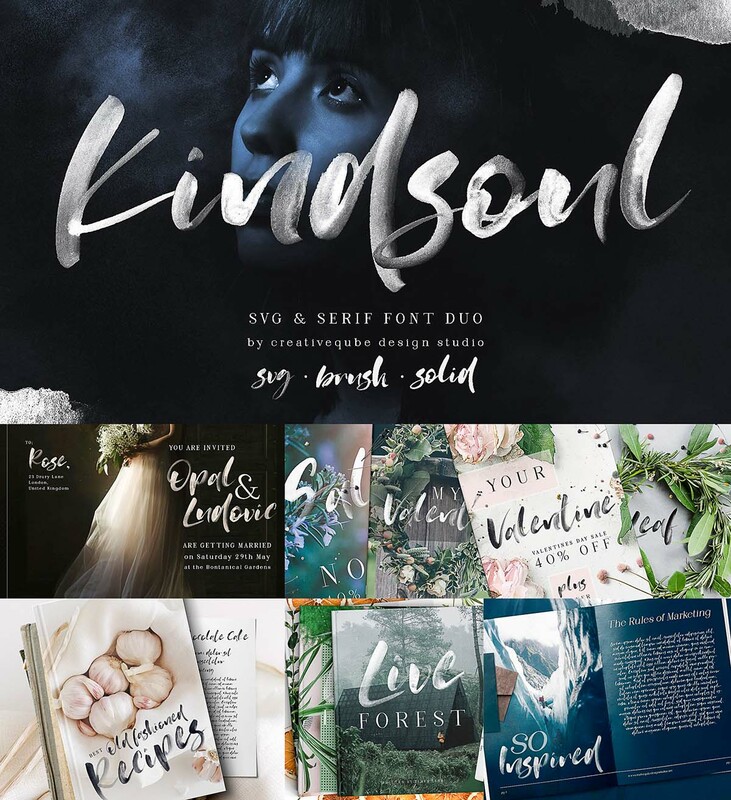 Tags: bold font, brush font, cursive, duo, italic, lettering, serif, solid, wedding font.